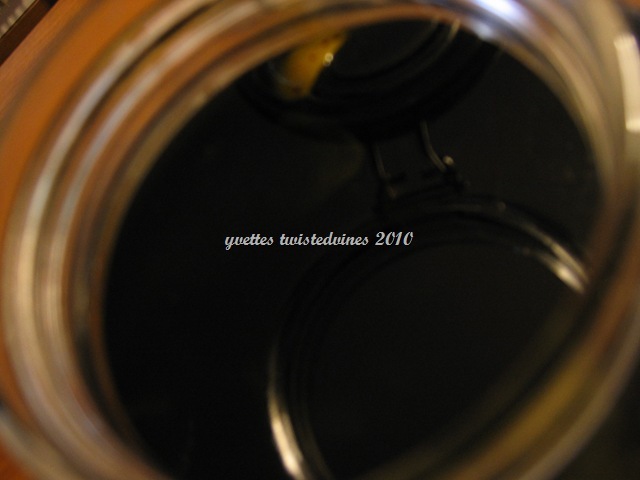 Yesterday was a full day for me…no time to think…and I had the all important job on arriving home to prepare another year’s worth of Nocino. The evening was just magic! Silvano was home to help me pick the walnuts and help in the preparation. Nocino is a traditional walnut liqueur, an after dinner digestive liqueur, a smooth dark colour, strong but sweet and really pleasurable to drink. The walnuts, green, immature are picked on the eve of the festival of St. John the Baptist, (June 23 & 24). 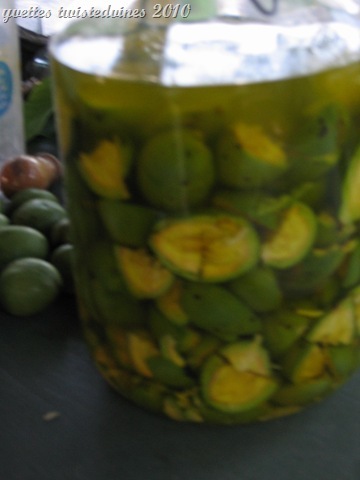 Nocino is traditionally made throughout Italy, the main ingredient of green walnuts used as a base but the changing flavours around the region depends on the spices used. The quantity of walnuts has to be an odd number, I pick 39 for 2 liters of alcohol (90 -95% proof). 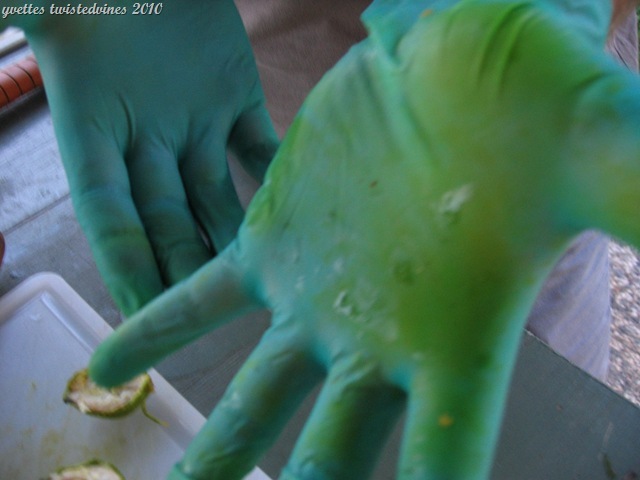 With gloves on…Highly recommended as the juice from the walnuts will permanently stain anything. Cut the green walnuts into quarters..the husks are still soft so with a sharp knife this can easily be done..place the quarters of green nuts in a glass jar with a seal top..add the 2 liters of alcohol..as you can see the alcohol changes a vibrant green colour in front of your eyes.Place outside in the moonlight. And the magic begins!!! Twenty four hours later, as you can see from the photo below, it’s changed to its characteristic colour. The spices can now be added. I use 10 cloves, 5 grams cinnamon sticks and the zest of one lemon. Placing outside again. Every day agitate this mixture and leave the jar exposed to sunlight and bring it inside every night. Repeating this process until the 3rd of August. The dates are very important so make a mark on the calendar to remind yourself. 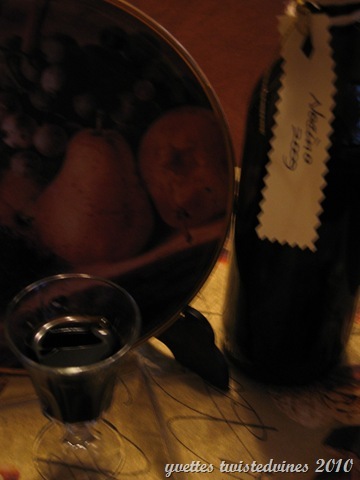 I make 4 liters every year…we’re just finishing the last of the bottles I made in 2008 we enjoy a small liqueur after dinner helping with digestion and it secures a little relax time, during Winter this really warms you up. I learn more from you every day and think you have the most interesting life!! Sounds like a wonderful liqueur…can we buy it here? oh yum! Buonissmo. That sounds so tasty. Not sure I could keep it just as a little digestivo though. Have you ever made crema di limincello? Okay, I’m calling my mom tomorrow to see if she has green walnuts on her tree yet. This is something I have to make! Did I hear someone mention Lemoncello..will you share the recipe with us? 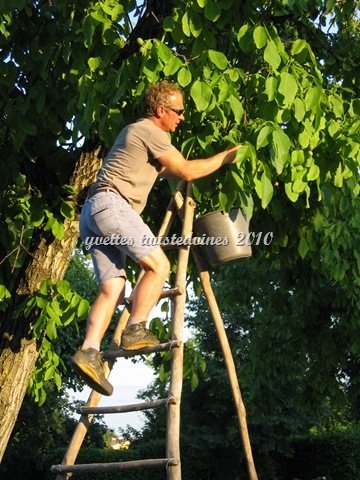 I’m going to plant a walnut tree in my garden and start a new tradition! Thanks for the lesson and recipe! Sure I’d love to share my Lemoncello recipe…It’s a real delight! !